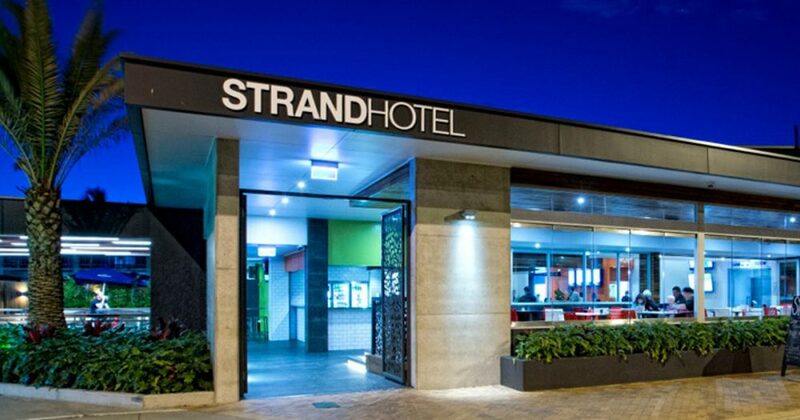 Thanks again to the Strand Hotel Yeppoon for assisting the YTF with all things catering at this year’s event. It was again great to have the presentations under the big tent in the out-back beer garden along with all the menu board specials, which kept our competitors and spectators fueled across the weekend. The Strand has been an iconic part of the Yeppoon landscape for over 60 years and are more than conveniently located on Anzac Parade Yeppoon right opposite the beautiful and ever-changing Yeppoon foreshore. The Strand has recently undergone a major refurbishment, completed in 2013, to modernise the hotel to cater for the growing area and needs of all residents and visitors to Yeppoon and The Capricorn Coast. The Cafe Bar, Beer Garden, Bistro, Dining Areas and Gaming room were renovated to create a relaxing and inviting atmosphere where patrons enjoy some of the most amazing views and delicious food. The Strand is the Cap Coasts destination for fresh seafood and high quality dishes created with local and seasonal produce and we thank them yet again for their 4th year of support.